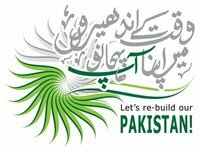 KUMAK is a group of young motivators, who have an urge to make the youth of Pakistan aware and inculcate in them profound thinking that PAKISTAN is our home, we are united, and as a small group of committed people we can change Pakistan’s fortune. One of the remarkable steps of KUMAK in the progress of our society is to organize a workshop-styled conference for youth under the banner of "Jago aur Jagao!" every year. The aim of this conference is to persuade and encourage the young minds of Pakistan. We believe that the pillars of our nation's progress are based on its younger generation. We want the young people to realize their immense potential so that they can progress ahead with positivity. A topic for Youth, on Youth, by Youth! The initiative behind arranging a two-day conference on the above theme is to rekindle hope amongst the younger generation of Pakistan that they can alter the fate of their motherland by utilizing their minds and abilities as "all is in our own hands!" In the current scenario of desperation in our country, there is a colossal need of identifying one's own responsibilities and cultivating optimism amongst all, because we must understand that"when it is dark, then only you can see the stars!" ‘Waqt ke Andheron' mein Apna Aap Pehchaano’ drives youth to recognize the strength of individual as they are the massive class of our nation i.e. more than 50%.Our aim is to provide an ambiance to the youth to think bigger, support each other, and strive for a better future of Pakistan. It is all about accomplishing those dreams which are being sighted with open eyes! Participants will be encouraged to recognize themselves, explore their abilities, and bring out the hidden part of their selves through different inspiring sessions, thought provoking panels and stimulating discussions covering assorted themes. * To create a platform where youth can be inspired to find solutions to their problems related to Pakistan. * To provide an opportunity to our youth to be able to meet inspirational figures from various walks of life. * To generate a patriotic youth who would have enough enthusiasm to stand against the menaces in our society through their optimistic approach. Youth from all over Pakistan aged 14 to 25. We ensure that equal participation opportunities are provided to the youth from underprivileged areas.